If there is a product introduction in your future, start thinking about PR now. Fact: the earlier you begin, the better your results will be. 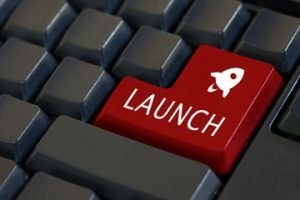 There are three key things that impact the success of this launch: Message; Awareness; Brand impact. When you work with Fluent, we start by asking what your goals are. Then we roll up our sleeves and learn about two things: your product and your audience. Why? Because it’s a saturated market. Even if you’ve created something that never existed before, your market is already saturated… because journalists, like consumers, are inundated. Digging deep to find a compelling message that resonates with your audience is critical. This ‘exercise’ can lead to the one thing that makes all the difference in your success: cutting through the clutter and establishing your unique place in the hearts and minds of your customers. Your message has to do more than just resonate — it must be omnipresent. Everything you say, every image you put forth, every aspect of packaging must promote that message. And … it’s not easy. So start your messaging as early as you are sure of the final product. Whether your product is for consumers or businesses, whether it’s tangible or intangible, you need a little time and a little ‘love’ to spark the interest of potential customers. The AMA reminds that we see about 10,000 messages every day. That makes getting noticed difficult, especially when attention spans have dwindled to 8 seconds. When I was first coming up in this field the mantra was that consumers needed to see an advertisement seven times before they would act on it. But now? The first time they see your message, they don’t even see your message. It can take 20 – yes, 20 – times for people to act on your call to action. Online activity like social media (yes, it’s PR) works to improve your odds of being seen more often. And if you’re using the right digital tools, the more people are online the more impressions you’ll make. Brands are Just for Nike. Tongue in cheek here, guys. A brand is your reputation – build it and guard it like your only child. And reputations are built with everything you say and do. Every. Single. Day. Your launch is the first step. Make sure that every promise you make about the product, the service, the shipping and even the company are good as gold. And – be sure you are as ready for success as you are for a glitch. Press coverage can help build reputations by providing the “third party validation” that you and your customers crave – but it takes time. Note that there’s a minimum of a six-week lead time for an article in a print magazine. Work backwards from there to weave in your messaging, create press lists and write media kit elements. Oh and you’ll likely start your media relations activities nearly three months prior to launch date. A strong brand builds clout – with journalists as well as with customers. New companies, or new and as yet untested products from all companies, come with a sense of fear that you’re going to fail. No one wants to be aligned with the failed product… even journalists. If you’re looking for a checklist of what needs to be accomplished by the PR team ahead of your launch, read our next blog post… or just call us and we’ll walk you through it!